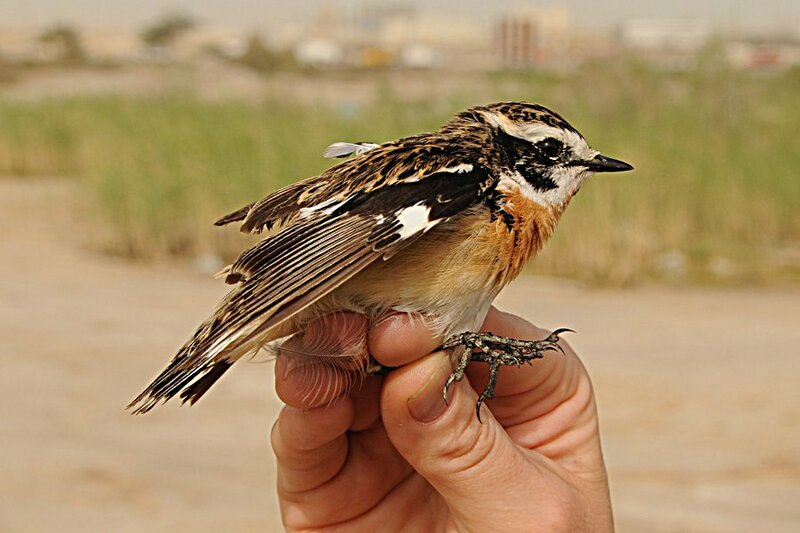 I went ringing again to Bahrain at the weekend and spent the whole day with Brendan and Nicole. We went to Alba Marsh again early in the morning and set up our normal four nets. 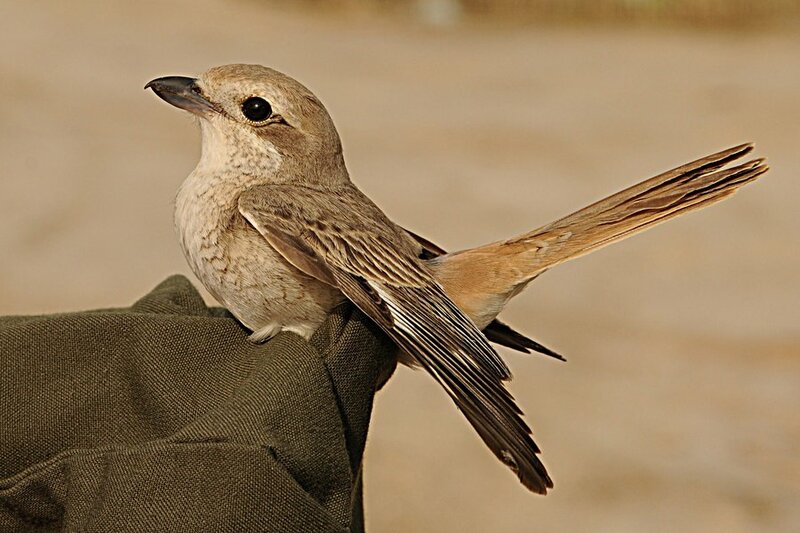 There did not appear to be so many birds about as the last couple of weeks although a couple of shrikes, one Daurian and one Turkestan were in the bushes by the ringing site. 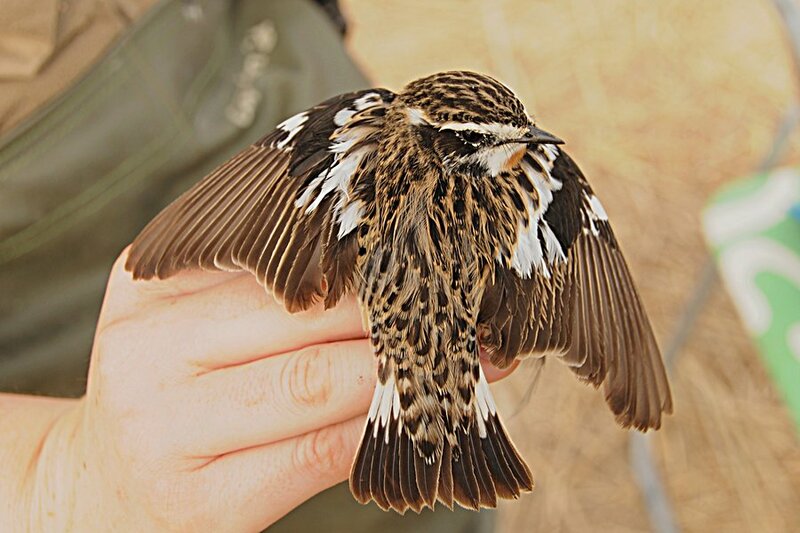 A spotted Crake and Little Bittern were seen whilst erecting the nets and a few Red-throated Pipits and Yellow Wagtails were flushed from the short cut reeds. 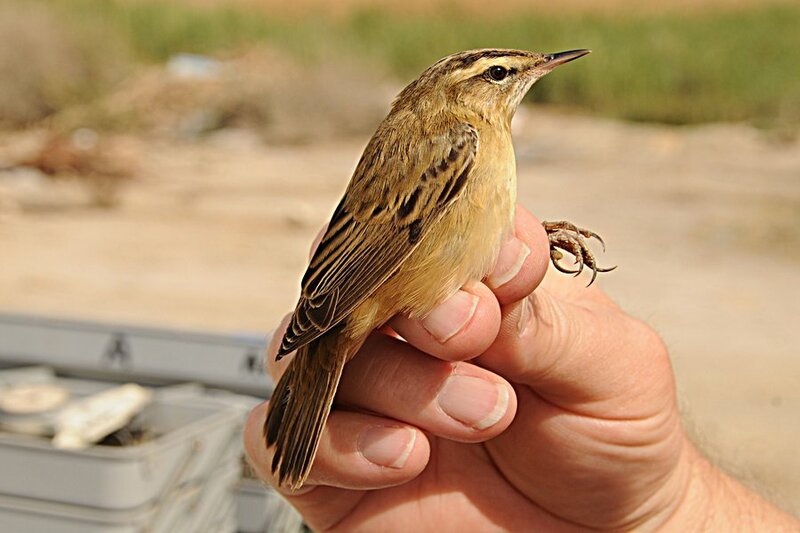 As it turned out we caught quite a few birds for our standards and Sedge Warbler was a new ringing species for me and Whinchat was a new ringing species for Nicole so we were very happy with our mornings work. 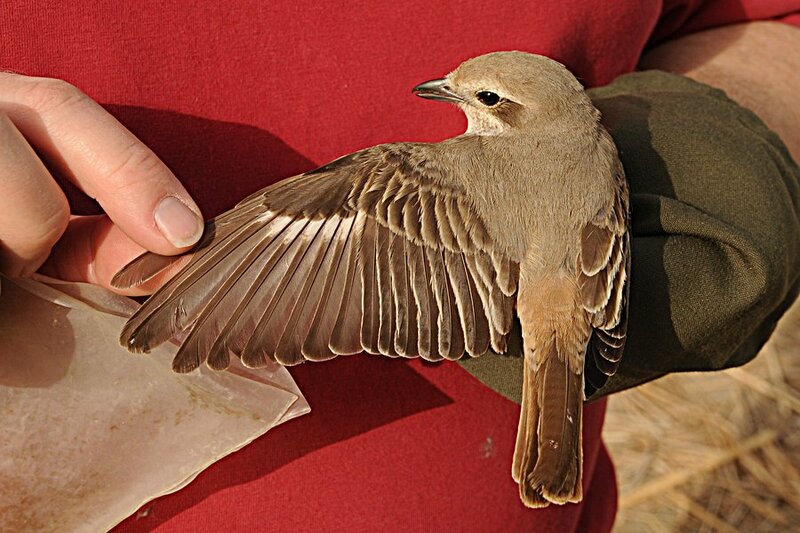 We caught 31 birds of which I ringed 19 and Nicole ringed 12. 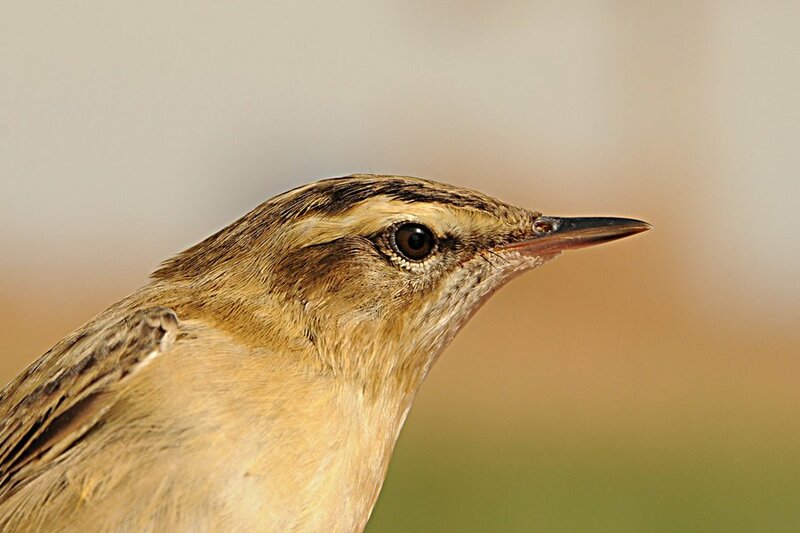 These include ten different species, 12 Willow Warblers, five House Sparrows, three Calmorous Reed Warblers, two Red-throated Pipits, two Caspian Reed Warblers, one Daurian Shrike, one Chiffchaff, one Whinchat, one Sedge Warbler and one Common Whitethroat. 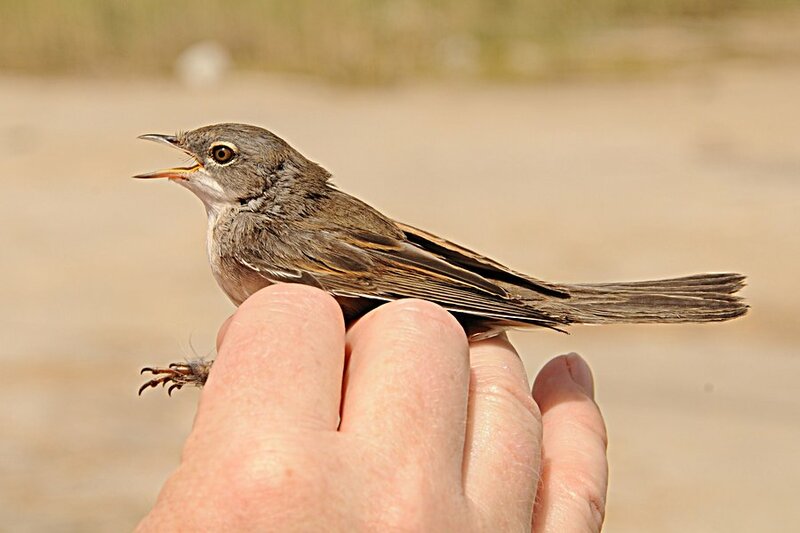 One Clamorous Reed Warbler was a re-trap ringed at the same site the week before. 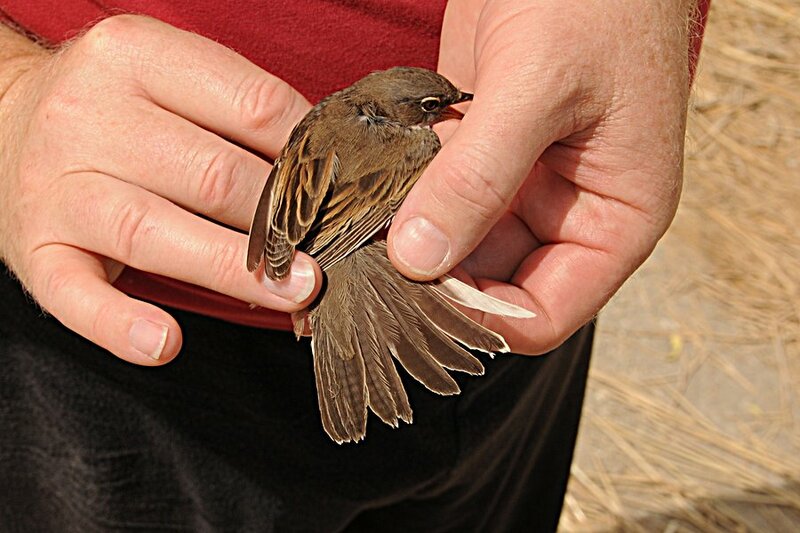 We ringed from 06:00 hrs until 10:30 hrs when the temperature became too hot and the birds stopped moving. This weekend has been the first time the weather has returned to normal temperatures since the summer with daytime highs of 36 degrees Celsius.